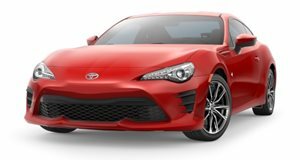 What Drifts Better, Drift Mode Ford Focus RS Or Special Edition Toyota GT86? Here’s one way to better exploit the GT86’s true capabilities. Oh dear, what’s this? An all-wheel drive hot hatch legend thinks it can drift better than Toyota's first legitimate rear-wheel drive sports coupe in ages even though the Japanese car has skinny low-grip tires and a driveshaft down the GT86’s sagittal plane, all put in place just so the 205 horsepower boxer-four can spit out some smoky drifts? Blasphemy. 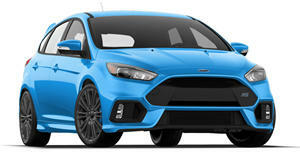 Or at least that's what we’d say if we didn’t already know that the turbocharged Ford Focus RS has a trick up its sleeve. Ford dubs that trick “drift mode,” and the only reason it’s there is to prevent tire smoke addicts from gravitating to the cheaper Toyota when shopping for a performance machine. But how effective is it against the old school method of sending power to the rear, turning off traction control, and getting overly-zealous with the throttle mid-corner? That’s what Autocar wanted to find out, so it asked for a copy of each car from their respective manufacturers and enlisted the help of veteran Matt Prior and Mauro Calo to find out. In order to even out the horsepower gap, the Toyota gets fitted with adjustable dampers that can be stiffened if the driver wills it. Stiffer suspension translates to less lateral force being translated to body roll, which allocates more sideways force to the tires. When these have no grip, that should mean better drifts. Is this really all it takes to overwhelm the Focus RS with its 150 horsepower premium? Good question, but the outlook doesn't look good for the weakling Toyota.